With a state-of-the-art simulation laboratory, a commitment to interprofessional education, and licensing examination pass rates that exceed national averages, students come to LIU Brooklyn’s Harriet Rothkopf Heilbrunn School of Nursing for transformational opportunities that lead to meaningful careers. Neha Parmar got one on her way to campus. While traveling by bus back to LIU Brooklyn after visiting family in southern New Jersey, Parmar found herself chatting with a fellow passenger about her interest in medical missions to foreign countries. Before they arrived back in New York, it turned out that Parmar had been speaking with Sharrye Moore, a leader of the Give Them a Hand Foundation, a non-profit organization that brings together United Nations departments and staff, member states, non-governmental organizations and the private sector for a variety of humanitarian projects, including medical missions. That connection led to a spot on a medical mission this past August, as Parmar traveled to Peru to provide much-needed medical services at a seminary and nursing home in Huancavelica, a small town in a valley in the Andes Mountains. “It was definitely an adventure,” Parmar said. The seminary in Huancavelica is home to more than 160 boys, who are cared for and educated by the priests. Parmar spent her mornings examining the boys, often treating skin conditions that result from a lack of heat. “It’s heartbreaking,” Parmar said, “The skin conditions go undiagnosed, because so many people have them that it seems normal. They don’t see anything wrong with it. Parmar spent her afternoons working at the nursing home, Hogar de Anancios Santa Teresa Jurnet, which houses adults ranging in age from their late 50s to their late 90s. Many of the adults in the home have been abandoned by their families, and Parmar served as an additional source of human contact, in addition to medical aid. 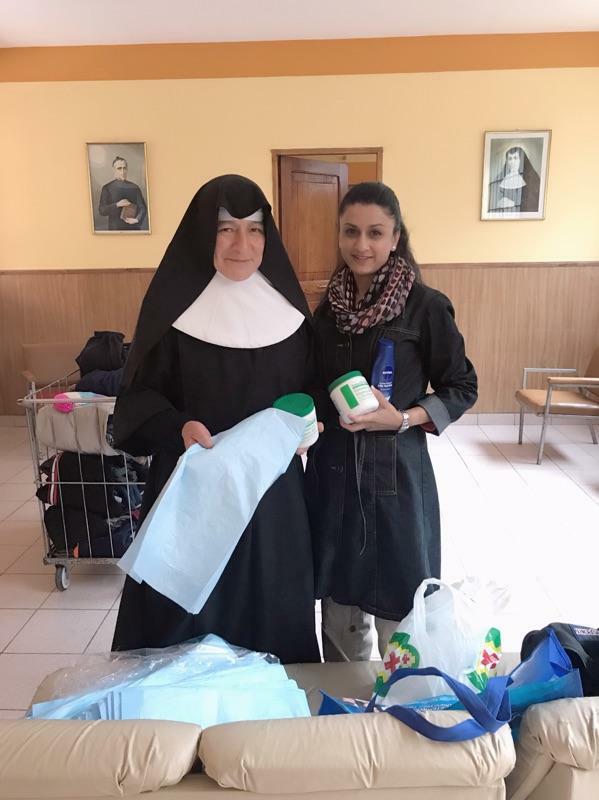 As part of her preparation to travel to Huancavelica, Parmar raised money and gathered supplies with the help of her LIU Brooklyn classmates. By the time Parmar headed to Peru, she had raised more than $2300 and filled 10 massive suitcases with medical supplies. “It was nice to see everyone come together,” Parmar said. And, while Parmar is back in the U.S. and preparing for another year at LIU Brooklyn, she’s still “very much involved” with her contacts in Huancavelica, and she’s eyeing future opportunities to do similar work.